July 21, 2010 by Ken Ward Jr. But Big Coal’s friends on the Hill are telling them not to pop the champagne too soon. Even without a climate law pricing carbon, the landscape is about to change for the worse for America’s most abundant — and dirtiest — source of fuel. New clean air and water regulations set to kick in next year, combined with a boost in new natural-gas supply and a projected nuclear-power renaissance, mean that with or without a price on carbon, coal could soon go from the cheapest and most popular source of electricity to a pricey, onerous third choice. Already, new studies are showing coal’s market share set to decline significantly in the coming decade. Last week, Sen. Byron Dorgan (D-N.D.), a longtime friend to the coal industry, called the heads of several coal trade groups into his office to warn them of just that scenario and to tell them that in the long run the only policy that may save coal is the price on carbon they’re now fighting. “Regulations are coming in the future. 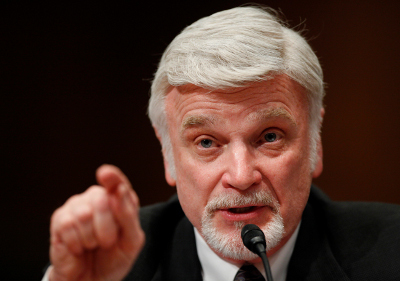 If coal does nothing, coal will lose,” Dorgan said in an interview with POLITICO. “The reason I have reached out to the coal industry is that they’ve been on the defensive position, not negotiating with anyone, and they’re going to lose under that. With or without carbon regulations, there will be a substantial conversion to natural gas, and coal will lose.” Dorgan said that while it looks increasingly unlikely that a climate change bill will pass this year, he does believe a price on carbon is inevitable in the coming years — a message he also pressed on his coal allies. The House Committee on Education and Labor this afternoon advanced to the floor the second major re-write of the nation’s mine safety laws in the last five years. We’ve got more background on the legislation here, here and here. Committee members approved the bill by a vote of 30-17, after defeating efforts by Republican members to weaken language broadening criminal mine safety offenses and to strike language to reform workplace safety in other industries outside mining. Oddly, some Republican members spent part of today’s committee markup complaining about language put forth by Chairman George Miller, D-Calif., (photo above) to apply parts of the bill only to gassy coal mines, exempting other types of mining operations. West Virginia’s newest U.S. Senator, my good friend Carte Goodwin, seemed to make himself pretty clear last week when he got the question — before he was even sworn in — about legislation to try to deal with the climate crisis. All 12 in the current freshmen Democratic class — in a letter to Senate Majority Leader Harry Reid (D-Nev.) Friday — say a price on carbon emissions is needed in order to provide market certainty and keep pace with major developing countries like China and India. Their call for a “polluter pays” approach to climate change echoes that of Democratic leaders looking to strike a deal on a first-time carbon-pricing program focusing on electric utilities. Sen. Goodwin has received some, well, interesting reviews from the media thus far … with Vanity Fair referring to him as “unbelievably dashing” and The Washington Post calling him “eye candy.” Another report noted his sports career (but failed to mention he once dropped 43 points in a Ripley win over Hoover in high school basketball). Basically, he’s getting good press for being young and energetic … and even Gov. Manchin talked about how this appointment was part of West Virginia’s political leadership turning over to a new generation. 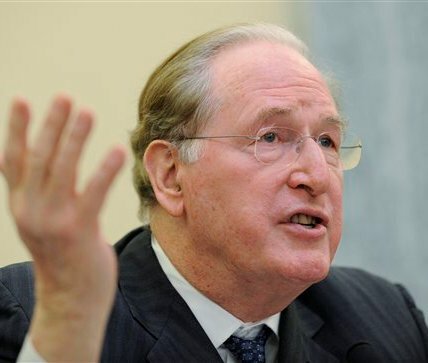 Meanwhile, West Virginia’s now-senior Senator, Jay Rockefeller, is pushing a pro-coal energy bill that a new GAO report indicates won’t get the job done if that job is dealing with climate change. I know what you’re thinking … Sen. Goodwin isn’t going to be in Washington long enough to make a difference on climate change one way or the other, even if he doesn’t already have his pro-coal line down. 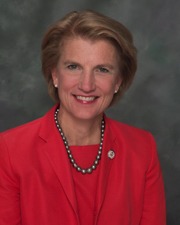 It’s surprising that Rep. Shelley Moore Capito has time to do this, given the frenzy about whether she’ll run for Senate, but the West Virginia Republican has introduced her own version of a mine safety bill. 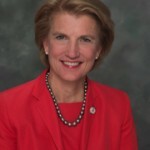 Capito proposes smart, incremental reforms that address all aspects of mine safety including streamlining the permit appeal process while keeping strict punitive measures, establishing a completely independent federal agency to investigate mining disasters, requiring that inspectors receive annual training, and encouraging a stronger work environment with safety at its core. Among other things, the legislation would create a new, five-member National Mine Safety Board charged with investigating any mining accident that causes three or more deaths. My bill is neither a Democrat bill nor a Republican bill. Rather, it’s a good faith effort to give everyone involved in mine safety, from inspectors to operators to the miners themselves, the resources they want, need and deserve to run a safe mine. July 20, 2010 by Ken Ward Jr. 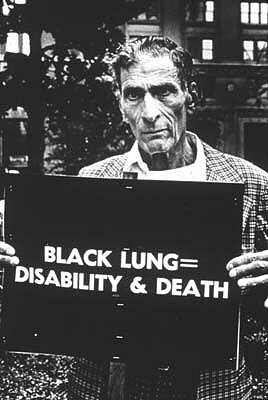 Tomorrow, when the House Education and Labor Committee takes up the mine safety reform legislation, one major provision will be missing from the Democratic bill: Language to tighten to legal limit for coal dust that causes deadly black lung disease. It’s a glaring omission, if for no other reason that it was a major part of the S-MINER Act, the legislation that Committee Chairman George Miller, D-Calif., and other reformers were pushing not so long ago. 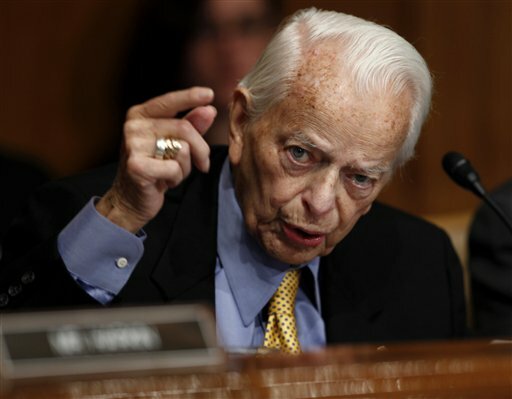 Now, the new legislation — to be named in honor of the late Sen. Robert C. Byrd — does include important language to update the standards for “rock-dusting” to prevent coal-dust from contributing to underground coal-mine explosions. I’m told lawmakers did not include the language to tighten the coal-dust limits because they expect MSHA to be issuing a rulemaking on this issue … well, yes — and no. MSHA does have a regulatory agenda item for reforming black lung protections. MSHA has indeed sent a proposal to the White House for its approval as part of the agency’s “End Black Lung” initiative. But, the Obama administration and MSHA chief Joe Main have removed from that agenda Obama’s initial promise that the rule proposed by his administration would tighten the legal dust limit. As Coal Tattoo readers know, the National Institute for Occupational Safety and Health has recommended a tightening of the coal-dust limit since at least 1995. A Department of Labor advisory panel so recommended in 1996 … but today, Democrats in Congress have backed off putting those simple recommendations into law. 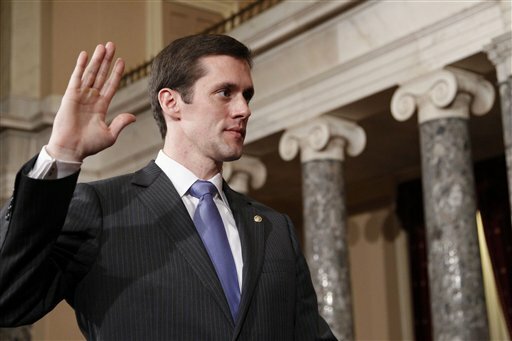 Will Congress act on mine safety this year? Later this week, a House committee in Washington will take up mine safety reform legislation supported by the Obama administration in the wake of the Upper Big Branch Mine Disaster. But regardless of what the House does, it’s far from clear that this legislation has much of a chance of becoming law this year. If the Big Branch disaster were a terrorist deed, Republicans would be jamming the hopper with legislative antidotes. But dead miners? No rush, although it’s clear that existing regulations are porous, underenforced and in crying need of repair by a responsible Congress. While House leaders are racing their mine-safety bill through the lower chamber, the Senate has no plans even to introduce its bill until the fall. The reason is clear: Senate Democrats need at least some Republicans to pass their bill, but GOP leaders are opposed to moving mine safety reforms quickly. 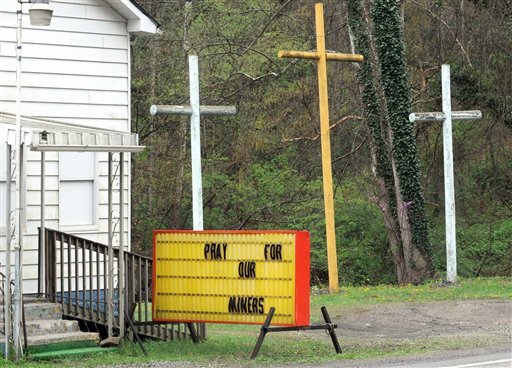 Instead, they want to wait for the results of an investigation into April’s deadly explosion at the Upper Big Branch mine in southern West Virginia — results that won’t likely arrive this year. … While GOP opposition in the House is an inconvenience, GOP opposition in the Senate is a bill killer. Acknowledging that dynamic, Sen. Tom Harkin (D-Iowa), who chairs the Senate labor panel, says he’s holding out in hopes of crafting a bipartisan bill. Harkin’s office said Friday that the Iowa Democrat is “still talking to panel Republicans,” notably ranking member Mike Enzi (Wyo.). In the meantime, Gov. Joe Manchin has not made any move to have introduced any mine-safety legislation on the state level here in West Virginia. … I’m a little reluctant to get into an extensive political discussion on any particular piece of legislation. That being said, with regard to cap and trade, I will say this: From what I’ve seen of the Waxman-Markey bill that passed the House of Representatives and other proposals pending in the Senate, they simply are not right for West Virginia. And I would submit that the legislation being championed by Senator Rockefeller right now that would focus investment on clean coal technology and carbon sequestration recognizes the practical effect of coal on our economy and our energy portfolio. More broadly, let me answer the question this way: I will not support any piece of legislation that threatens any West Virginia job, any West Virginia family, or jeopardizes the long-term economic security of this state. … You don’t have to live too far from ear-shot of any radio or newspaper to know how strongly West Virginians feel about that issue and how important it is to protect our jobs and our economy and how important it is to make those voices heard in Washington. 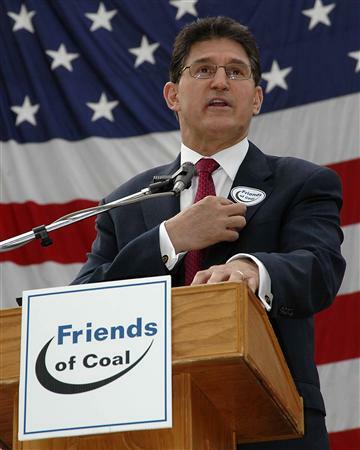 In Larry Messina’s Associated Press account of Goodwin’s appointment, former Manchin chief of staff Larry Puccio makes note that Goodwin was the primary author of Manchin’s coal-mine rescue reforms after the Sago and Aracoma disasters back in 2006, landmark legislation that led the way for similar federal measures. Not mentioned is Goodwin’s involvement in Manchin’s decision to back off any real investigation of the concerns about the safety of Marsh Fork Elementary School in Raleigh County. Goodwin praised Sen. Byrd, but I have to wonder if before he says much more about coal issues he’ll go back and read the late Senator’s wise advice that West Virginians and our coal industry need to “embrace the future.” (And not for nothing, but polls show that West Virginians oppose mountaintop removal and favor clean energy). Lots of other folks are going to make much of Goodwin’s family connections, but perhaps when doing so they might remember that his late father, Stephen Goodwin, represented Sago survivor Randal McCloy in his suit against International Coal Group. And his uncle, Chief U.S. District Judge Joseph R. Goodwin, hasn’t exactly been too friendly to the coal industry in his mountaintop removal rulings. Then there’s his first cousin, U.S. Attorney Booth Goodwin … he’s the federal prosecutor investigating the Upper Big Branch Mine Disaster. Of course, there’s also his aunt, West Virginia Education and the Arts Secretary Kay Goodwin (Judge Goodwin’s wife), whose agency is in the middle of the delisting of Blair Mountain from the National Register of Historic Places. The big financial reform bill that just passed Congress and is awaiting President Obama’s signature contains some new mine-safety reporting requirements for publicly traded companies. In one of his final actions as a Senator, the late Senator Byrd (D-W.Va.) teamed up with Senator Rockefeller to secure an amendment to the Wall Street Reform conference report to hold mining companies accountable for their safety records. Specifically, the mine safety amendment requires that publicly-traded mining companies include serious mine safety violations in their public filings with the Securities and Exchange Commission (SEC), which are closely tracked by shareholders and industry analysts. Mining companies that fail to properly disclose this information would face SEC penalties. The language would require companies that mine coal or have subsidiaries that are mine operators to tell the U.S. Securities and Exchange Commission and their stockholders about the number of violations, enforcement orders and fines issued to their mining operations. Senator Byrd and I fought for this measure because safe mines are good for business, and that makes a real difference to families who see their loved ones go to work every day in our nation’s coal mines. 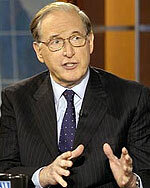 July 13, 2010 by Ken Ward Jr.
West Virginia Sen. Jay Rockefeller is set tomorrow to introduce new federal legislation aimed at encouraging the development and deployment of carbon capture and storage technology at coal-burning power plants across the country. Rockefeller and his co-author, Ohio Republican George Voinovich, released a “discussion draft” of their Carbon Capture and Storage (CCS) Deployment Act of 2010 back in March and details on that are available here. Sen. Rockefeller has recently voted in favor of a resolution that would have overturned EPA’s scientific findings that greenhouse gas emissions are a threat to public health and welfare, and has urged Congress to abandon comprehensive legislation to address climate change. Nothing before me grabs my attention sufficiently. … After the 2006 Sago and Aracoma tragedies, Senator Byrd said that ‘if we are truly a moral nation … [then those] moral values must be reflected in government agencies that are charged with protecting the lives or our citizens. I agree. 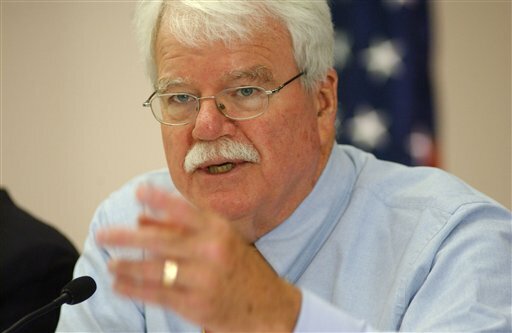 Later today, lawmakers in Washington will get to work on the mine safety reform bill introduced two weeks ago in the House of Representatives by Labor Committee Chairman George Miller, D-Calif., and others. For more on the bill, see my previous blog post and Gazette story. The bill text and a summary are available here. Witnesses for today’s hearing before Miller’s committee include MSHA chief Joe Main, UMWA President Cecil Roberts, National Mining Association lobbyist Bruce Watzman, and Stanley “Goose” Stewart, who worked at Massey Energy’s Upper Big Branch Mine in Raleigh County, where 29 miners died in that horrible April 5 explosion. The National Mining Association has not yet offered any support for the legislation, while Republican leaders in Congress have criticized the measure. 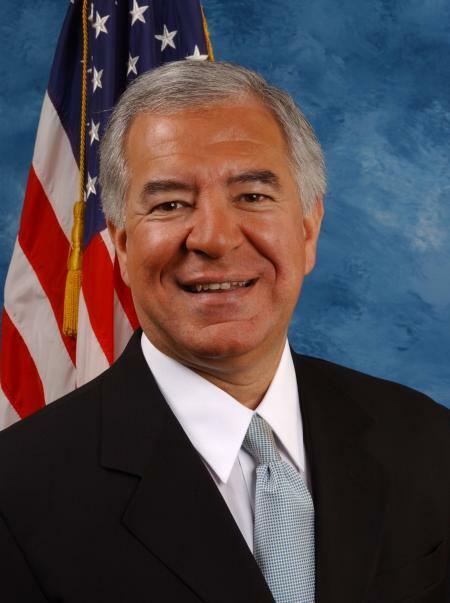 Rep. Nick J. Rahall’s House Natural Resources Committee is scheduled to hear testimony tomorrow morning on a Rahall bill that would allow the transfer of money from the federal Abandoned Mine Land Fund to bail out the troubled United Mine Workers of America pension plan. Basically, it would extend the existing practice of transferring money needed for the UMWA’s retiree health-care plan so that AML funds can also be sent to the union’s pension plan. The health-care transfers — the largest of many diversions of AML money for other purposes — have been going on since 1996, as we explained in our 2004 series on the mine cleanup program. The UMWA pension plan covers about 120,000 current and former UMWA members, and union President Cecil Roberts is scheduled to testify in favor of Rahall’s legislation at tomorrow’s hearing. 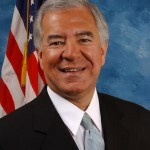 Rahall is seeking to protect the pension plan, which lost more than one-fifth of its assets to the financial crisis that began in 2007, and to avoid major labor disruptions that could occur if operators are asked to greatly increase their contributions when the existing UMWA national contract expires at the end of 2011. 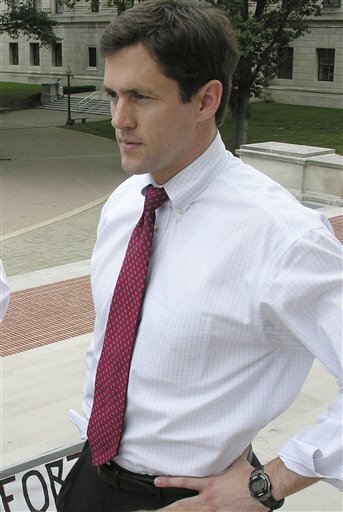 Rockefeller: Out of step with coal state Democrats? 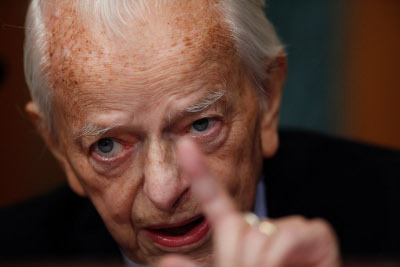 June 14, 2010 by Ken Ward Jr.
Sen. Robert C. Byrd, D-W.Va., is taking some heat again from the fine folks at the Charleston Daily Mail for his vote last week to uphold a federal EPA finding that greenhouse gas emissions present a threat to public health and welfare. The Gazette had its own editorial that praised Byrd’s vote, but unfortunately mistakenly said Sen. Byrd was among the few Democrats from a coal state who didn’t vote with the GOP-led effort to overturn EPA’s endangerment finding. Actually, only two Democratic Senators from states with any significant coal production voted in favor of the resolution pushed by Sen. Lisa Murkowski, R-Alaksa. 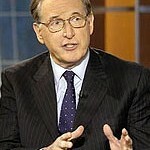 They were West Virginia’s Jay Rockefeller and Indiana’s Evan Bayh. Max Baucus and Jon Tester of Montana; Arlen Specter and Robert Casey of Pennsylvania; Byron Dorgan and Kent Conrad of North Dakota; Mark Warner and Jim Webb of Virginia; Michael Bennet and Mark Udall of Colorado Utah; Jeff Bingaman and Tom Udall of New Mexico; Richard Durbin and Roland Burris of Illinois; and Sherrod Brown of Ohio. June 13, 2010 by Ken Ward Jr.
Mr. President, anyone who has opened a newspaper or turned on a radio in West Virginia recently is aware of the ongoing discussion about the future of the coal and manufacturing industries. There is no doubt that the West Virginia coal industry and many West Virginia workers have been dealt a difficult hand over the past ten years, and are indeed facing some uncertainty about their futures. Such uncertainty is a pressing public concern for our State–and for many other States–and Senator Murkowski has sought to propose a resolution that she evidently feels would respond to those concerns. However, we need to do something other than hold a political vote on the Murkowski resolution, which has zero prospect of enactment, and which would not alleviate uncertainty about the future even if it did pass the Senate. The Murkowski resolution would only foster confusion. I believe that the best and most practical course of action is for the Senate to pass a bill that provides certainty and real answers for West Virginians and all Americans–a bill that will be passed by the Congress and signed by the President before new requirements that would broadly affect our economy are imposed by regulation. I understand that the Senate Democratic leadership is willing to move forward on a bill that pre-empts EPA action, and can win 60 votes in the Senate, be approved by the House, and be signed by the President into law. 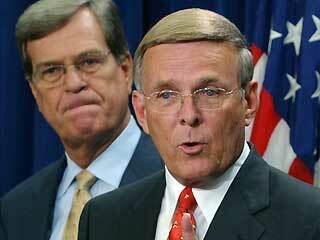 Senator Rockefeller recently proposed legislation to provide a temporary pre-emption of EPA. I know that I am joined by many others in West Virginia in my belief that the Senate find a way to accomplish that objective–an objective that I know Senator Rockefeller and I both share. I have recently secured commitments from my fellow Senators to provide on the order of $2 billion for each major power plant that installs clean coal technology during the coming decades–with additional funding available to larger projects. I am also negotiating a commitment to provide the West Virginia region with billions more annually to strengthen new and existing regional businesses, to complete the construction of better highways, and to provide other critical investments to ensure that the next generation of West Virginians will have a bright future at home in the Mountain State. President Obama has also assured me of his ongoing support for these priorities of mine. The way to ensure that we make these transformative new investments in the future of West Virginia, and in the Appalachian coal industry, is for Congress to do the difficult work of enacting the necessary policies. The Murkowski resolution does not accomplish that objective, and it may even undercut our ability to achieve it. The resolution is an open-ended denunciation of many leading scientific studies and regulatory initiatives. Were it to be enacted, the resolution could actually hamper important Federal initiatives–including rules that will assist in the deployment of clean coal technologies like carbon capture and storage. I also note that the Murkowski resolution is being considered by the Senate via an unusual legislative process that constrains debate and prohibits Senators from offering amendments. As I have said before, to deny the mounting science of climate change is to stick our heads in the sand and say “deal me out” of the future. But we have also allowed ourselves to ignore other realities. It is a simple fact that the costs of producing and consuming Central Appalachian coal continue to rise rapidly. Older coal-fired powerplants are being closed down, and they appear unlikely to be replaced by new coal plants unless we very soon adopt several major changes in federal energy policy. In 2009, American power companies generated less of their electricity from coal than they have at any other time in recent memory. 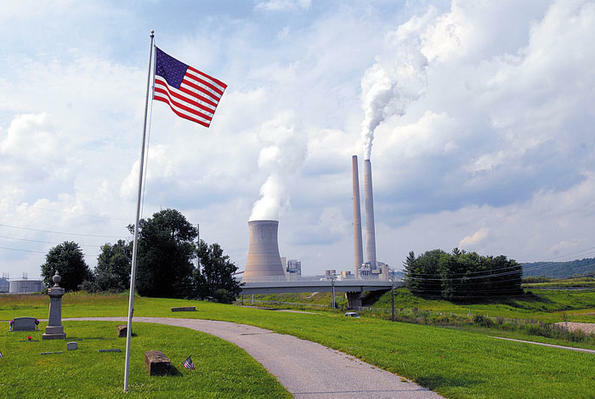 In the last month alone, two major power companies have reportedly announced that they will idle or permanently close over a dozen coal-fired powerplant units that have consumed millions of tons of West Virginia coal in recent years. Moreover, an even larger portion of America’s aging fleet of coal-fired powerplants could be at risk of being permanently closed in the coming years–and the ability to sell coal in those markets could be lost for an indefinite period, if there is no new Federal energy policy to support the construction of new coal plants. So, there is a long list of compelling reasons to oppose this resolution, and a rather short list of reasons to support it. For the sake of West Virginia’s best interests, and the vital longer-term interests of our Nation and our world, the Senate must now move promptly to take responsible, decisive, and effective action on a moderate but major new energy policy. 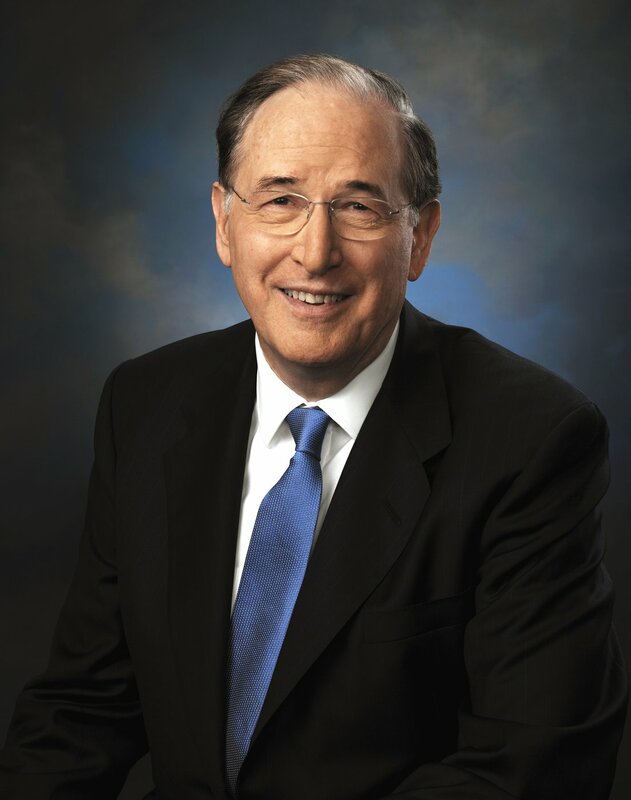 Sen. Jay Rockefeller, D-W.Va., just finished his Senate floor speech a few minutes ago, offering his reasons for voting in favor of a resolution that attempts to revoke an EPA finding that greenhouse gas emissions are a threat to public health and welfare. The floor debate is continuing, but I’m told that West Virginia’s senior Senator, Robert C. Byrd, will not speak on the floor and has still not decided how he will vote. You can watch the debate live on C-Span here. We’ve previously addressed Rockefeller’s stance (here, here and here) and explained how the resolution by Sen. Lisa Murkowski, R-Alaska, would overturn EPA’s simple backing of the great weight of evidence about the size of the problem climate change presents for our society. I’m not hear to deny or bicker fruitlessly about science, as some would suggest. I think the science is correct, but that doesn’t in one iota deter my support for the Murkowski resolution. I care deeply about this earth, and I resent anyone who suggests otherwise about me or about the people of my state. 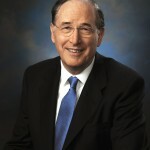 June 8, 2010 by Ken Ward Jr.
Sen. Rockefeller announced after the close of business that he would on Thursday vote in favor of the legislation put forth by Sen. Lisa Murkowski, R-Alaska, to block any U.S. EPA action to deal with global warming. I have long maintained that the Congress – not the unelected EPA – must decide major economic and energy policy. EPA regulation will have an enormous impact on the economic security of West Virginia and our energy future. I intend to vote for Senator Murkowski’s Resolution of Disapproval because I believe we must send a strong message that the fate of West Virginia’s economy, our manufacturing industries, and our workers should not be solely in the hands of EPA. The Murkowski bill: Does Sen. Jay Rockfeller want to be on record protesting climate science? The conventional wisdom is that Thursday’s vote on a Republican- and industry-supported bill to block action to curb global warming is a precursor to whether Congress will do anything this year to pass clean energy and climate change legislation. 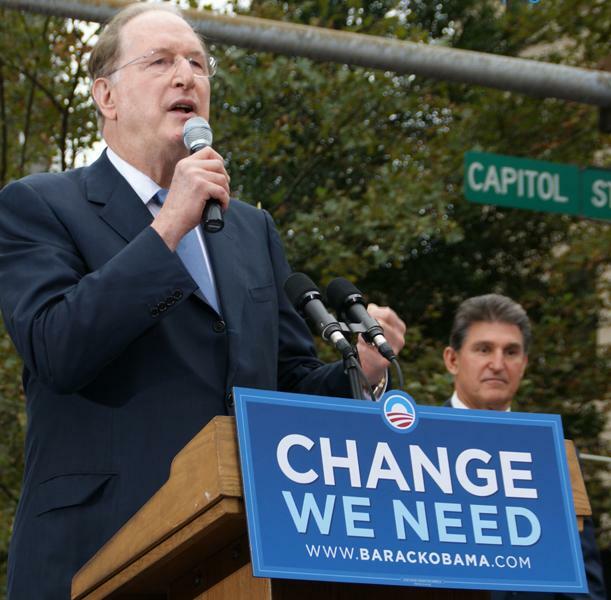 So, West Virginians need to be watching — especially to see how our junior senator, Sen. Jay Rockefeller, votes on the measure being promoted by Sen. Lisa Murkowski, R-Alaska. In short, Murkowski’s bill would overturn the “endangerment finding,” a ruling by the U.S. Environmental Protection Agency that greenhouse gas emissions “threaten the public health and welfare of current and future generations.” Murkowski’s stated goal is not to avoid any action on climate change — she says she believes it is “a real threat that must be addressed” — but to have Congress, rather than EPA, do the work of addressing it. Massey Energy President Don Blankenship’s former political operatives — who are now running the public relations show over at the West Virginia Chamber of Commerce — are tweeting away, encouraging folks to contact Rockfeller and Sen. Robert C. Byrd and urge them to support the Murkowski bill.